Everytime I work with a new flat iron I tri to find all of its functions. I want to judge its strengths and weaknesses. Now I think I found the hair straightener which is perfect in the same time for curls. I present you Babyliss Pro Wet-To-Dry Nano Straightener with which you do not need a separate curling iron. Your curls will stay long and look amazing and smooth. This flat iron has the thinnest body of any straightener I have used. Have you ever think about the possibility a thin iron to heat up so much for burning you? Because I have. And here with this flat iron you have a smart technology- the housing of the product is made of Ryton which doesn’t allow to the product body to heat up so much for burning you. I know the difficulty of having hair so sloppy and indestructible that it seems to me a miracle to find a flat iron that is appropriate.That’s why when I tried Babyliss Pro Wet-To-Dry Nano Straightener I was amazed. In this flat iron they use again the new technology of titanium surface. It makes the hair smoother and doesn’t cause frizz. The Nano Titanium covering on the plates is designed to glide smoothly over the hair without snagging. It is a technology which is new for me. I like the idea I can use the flat iron on wet hair.. BUT there is a problem with the moisturing. 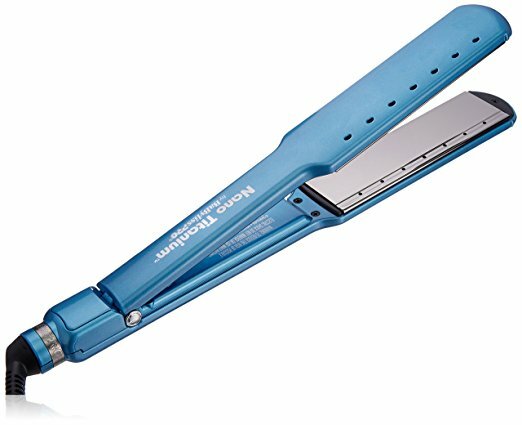 I mean sometimes this type of hair straightener can make the hair frizz and do not reach the results you want. The negative ion technology most irons have is supposed to make the hair so naturaly moisture and oils of your hair are kept in. This flat iron is very good but make sure your hair isn’t shower-wet when you use it that’s how you can have your hairstyle perfect. 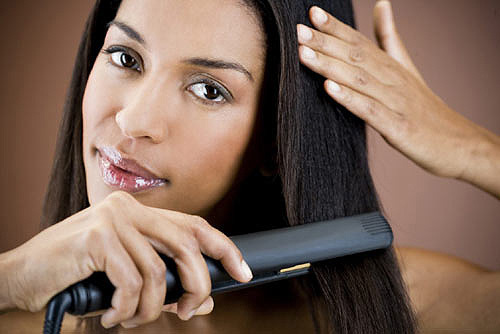 The Babyliss Pro Wet-To-Dry Nano Straightener has a good price for its qualities. You have to know every good and professional flat iron model has a price in the diapason of 80 to 120$. Here you have some new technology which make easier working with your flat iron and can make the hair amazing. One more thing you have to know about this flat iron, it doesn’t heat up quickly. It is a problem for me in the morning because I have to wake up half an hour earlier for doing my hairstyle. When you start work early and you have to wait for your hair straightener to heat up, this creates additional stress. As a conclusion this Babyliss Pro Wet-To-Dry Nano Straightener isn’t the perfect one for me and my lifestyle. I would add a auto shut-off and need the option of faster heats up. After all It’s great for styling, and I love that it’s treated like a go-to for many people with coarse or thick hair.